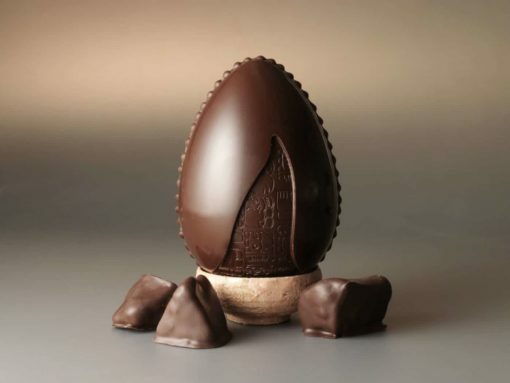 Large dark chocolate egg, filled with our dark coated cindertoffee. Copyright © William Curley 2019. Website by Creatify.